GhostBond XL™ was specially formulated by the manufacturers. With new & improved features which include, extra moisture protection and higher melting point, you can have peace of mind and confidence that your bonding adhesive will hold up to the most intense climates. Formulated under the auspices of a team of chemists who develop surgical adhesives. Professional Hair Labs always puts safety first. 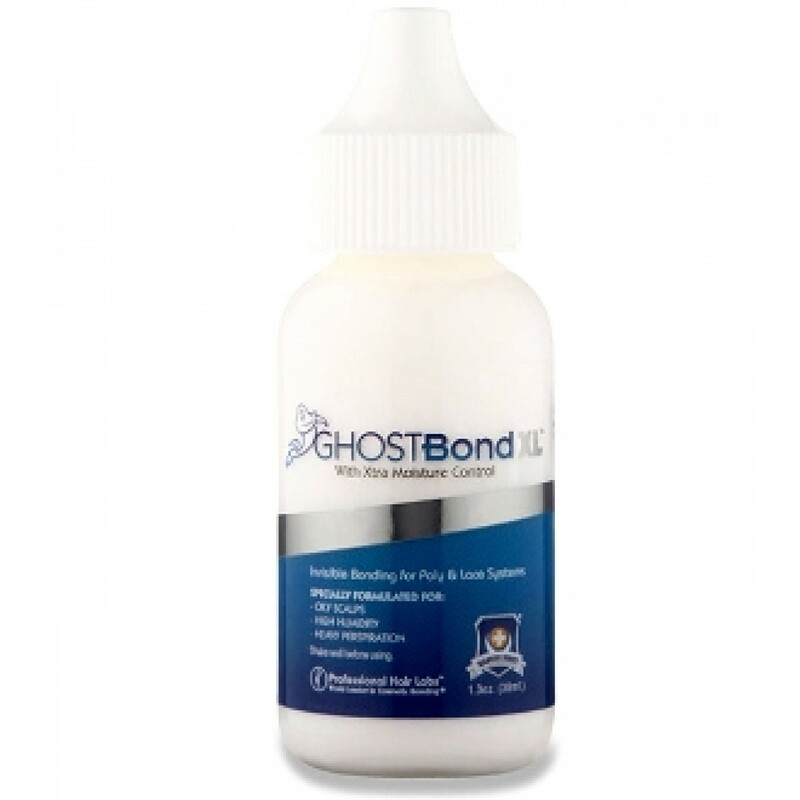 GhostBond™ contains no latex, no harsh solvents or any of the irritants frequently found in cheaper formulations. It has been specially formulated for oily scalps, high humidity, and heavy perspiration.